The Century Home Living Solid Brass Single lever Kitchen Faucet is designed for today's homes and a perfect update to any home decor. 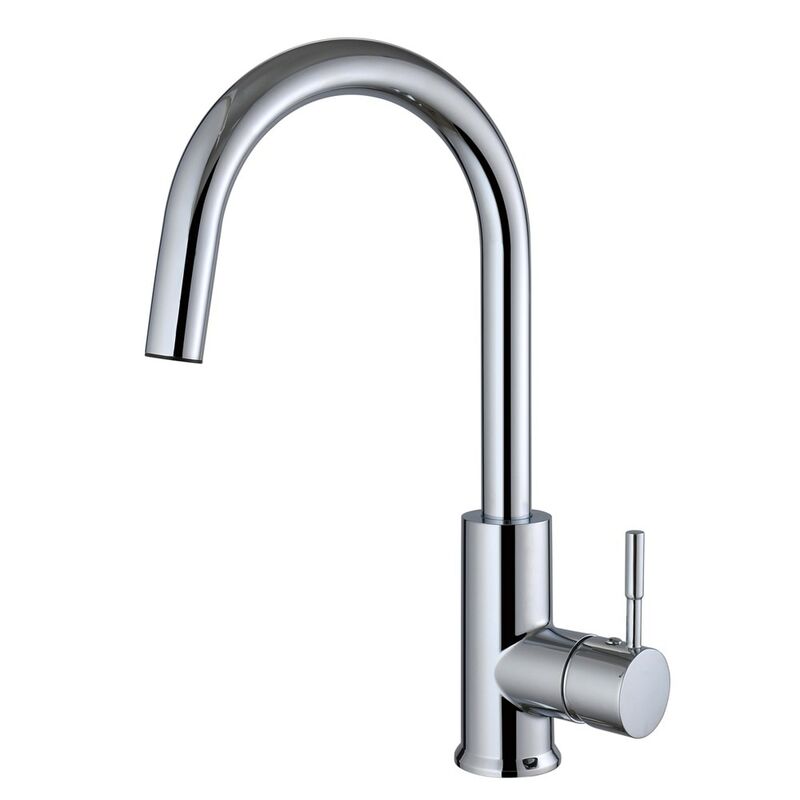 This stunning kitchen faucet is constructed of a lead free brass and finished in polished chrome. Spout reaches 7.9", Spout height measures 9.4", Faucet height measures 15.9"
The mounting hole size is between 1.3"-1.38"